A statement says officials plan to restore access and limited basic services "in the coming days" but gives no firm time frame. FILE - An 'Area Closed' sign is posted in front of a closed section of road at Joshua Tree National Park on Jan. 4, 2019, in Joshua Tree National Park in California. 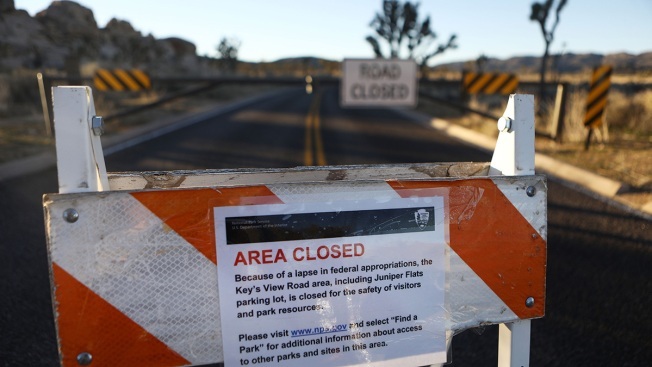 Officials announced on Jan. 8, 2019, that the entire park would close due to the ongoing partial government shutdown. Closure of the vast desert park is set for 8 a.m. Thursday and will allow staff to address sanitation, safety and resource protection issues that have occurred, the National Park Service said in a statement Tuesday.